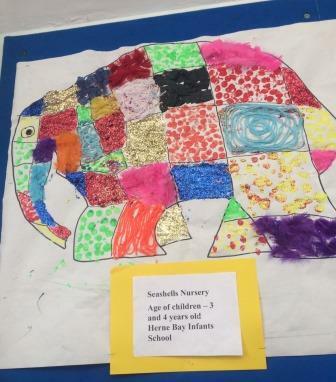 The children at Nursery were invited to decorate an Elmer the elephant as part of celebration at Herne Bay library. The children each picked a square and decorated it selecting different materials and colours. They also enjoyed reading lots of different Elmer stories during the week.